This article is a quick “check up” to help RV dealers make sure you’re using web analytics as effectively as possible – you may already be doing some (or all) of the ideas below – in which case you can check them all off the list! If not, this “check up” will make it easier for dealers (or their staff) to address any empty checkboxes with confidence. Just like a vehicle inspection, if you don’t know what needs attention, how can you get it fixed? Let’s get under the chassis of your dealership and get started with your inspection! 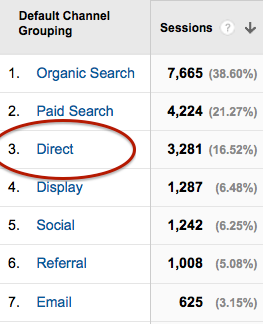 Ever noticed how one of the top sources of web traffic is called “Direct”? The term Direct means simply means this – there was no referring source passed along to the analytics tool when the visitor arrived on your website; there was no referrer, they just came direct-ly to your website. A referring source is generally another website (be it a link from a search engine or from any other site). – Used their browser’s “history” – a list of web pages that your browser remembers you visiting in the past, a sort of hybrid of the two. History gets triggered when you start typing, or you can also click the drop down to see recently visited web pages. 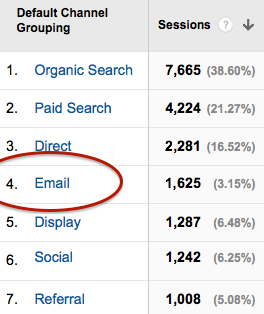 … Did you know that by default email traffic is also considered “Direct” by web analytics tools? Since there is no referring information inherently passed from links that are contained in emails, all traffic from this (sometimes large) source will be erroneously lumped in with the blanket term “Direct” – not so useful. What you need to do is actually include the referring source yourself by “tagging” your URLs with appropriate “parameters.” If you use an email provider like MailChimp, you can turn on this feature, however it can take some fiddling with to get the values right; either way you need to make sure you’re getting the data into analytics properly. Here’s what you need to know for when you’re manually tagging – as it’s likely that at least some of your email content will require some degree of manual tagging even if it’s included by your email service provider. Even if you’re not, it’s helpful to know what’s going on under the hood. Assuming you’re using Google Analytics, you will use the utm_ tags to send the corresponding referrer values into GA for you (these “tags” are more correctly called URL parameters by the way). Here’s the most important one – set this to “email” so that instead of “Direct”, your traffic will be considered as coming from the email channel. 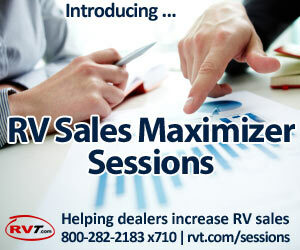 Lets you specify a campaign name such as “Summer Madness Promo Event” or “Vehicle Service Followup Email”. In the past I’ve found it a bit tricky to decide what to call the source and what to call the campaign at times; here’s a tip. For the source I try to keep it as broad as possible, i.e., only a few possible total values (such as “customer emails” for all emails that go to previous customers) and make campaign more specific to the message you’re actually sending. You can write up the URLs manually, but it’s easy to use the Google URL builder – Try your hand at building some tagged URLs with this handy tool. 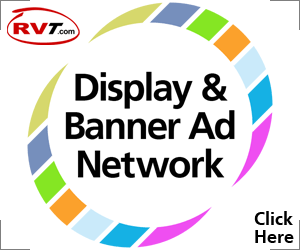 …But the majority of your emails will be seen in HTML format anyway, so your recipients will see something more like this – Visit Our Website to see our Internet Special RVs! – where the URL behind the link text will contain the parameters. Since the link text can be anything, you can even get sneaky and still use your website address as the text (if you want to), and “hide” the parameters inside the link URL like this –Visit www.ourdealership.com today! I want to underscore that this isn’t just about grouping the traffic in the right “bucket” (i.e., direct or email), it allows you to actually define the source and campaign (and even the campaign content) that you are using to see exactly which emails are bringing the most (and best) traffic! It’s fun to look at goal completions! I don’t mean personal goals, I mean specific goals for your dealership’s website! Web analytics tools allow you to set goals to indicate success or failure of your site’s primary reasons for existing. If you’re not using the Goals features available to you in your web analytics tool, then you’re missing out on a huge reason to even “do” web analytics. They’re actually very easy to use and go a long way in helping you understand how well your dealership’s website does at “converting” visitors – a conversion meaning that a visitor accomplished something significant during their visit, such as filling out a form. Web analytics may not (by default) work alongside important offline goals such as a visitor picking up the phone and calling, or visiting your store in person, but there are ways to tie that information together if you bother to collect it. The telephone goal is an easy one – have a web only phone number that is, was and will only ever be published on the website! Forget about “branding” your phone number, how often are people going to need it, and do you really expect them to remember it? If they happen to put your “web only” phone number in their address book, so what? At least you know where they got it from in the first place! Then, you can track call volume to that number with an inexpensive tool such as CallSource. For walk-ins, you’d need to take the time to ask if a visit to your website drove them here, or if they got the information directly from a Google Places result. However it’s worth considering that most people will have used the web to find you, and so the exact volume may become somewhat overwhelming, approaching “moot”. Website specific goals however are more easily measurable (though they may be more subtle); get creative and see how well you can tie all touch-points (online and offline) together as a part of the whole experience. Goals are usually triggered by a visitor hitting a certain page on your website (such a “thank you” page when filling out a form), but there are other ways to trigger goals, including the use of so-called web analytics “events”, which are discussed in the next section. Using goals means that you need to determine what the goals of your website are (a good practice). They also enable and empower you to try out new things and even test their effectiveness. Note: With Google Analytics, a website visitor can “convert” only once per visit, so if they complete an important website goal multiple times, only the first time will count towards your conversion rate for that goal. 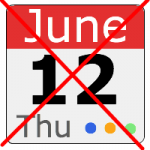 These are analytics events… not something you put in your calendar! Events are a flexible complement to pageviews, in that they sort of encompass “any other action” that a user can perform on your site other than simply view a page. You can set them to be triggered based on time, or even based on how far a visitor has scrolled down a page. They can also signal when people are interacting with dynamic content such as a form before they even submit it – I once triggered an event whenever a visitor’s mouse hovered over the submit button! Extreme? Maybe. But keep in mind that you can use events to segment out visitors in GA, and then target only those visitors in future online advertising campaigns. In other words, you can use engagement signals like these events to create more tightly targeted, hopefully more effective advertising – and spend less money doing it! You can do this with any pageview or goal by the way, not just events. Universal Analytics is without a doubt the biggest change to web analytics in a long time, but not a lot of people outside of the web analytics realm are talking much about it. If you aren’t running UA you will need to upgrade – a process that is actually fairly painless. So why is UA so important to digital marketers and advertisers? There are a number of reasons, but for the purposes of this post I want to cover just one – Custom Dimensions. “Dimensions” in GA are the attributes surrounding an occurrence that describe or give context to it. We call those corresponding “occurrences” metrics, which take the form of things like visitors, visits, pageviews, events, and transactions. For example, tying back into our first section, the campaign name passed to GA by the utm URL parameter is actually a GA dimension called… “Campaign” (no need to get fancy here!). There’s a full list of dimensions and metrics here at the Dimensions & Metrics Reference page. Got it. What are custom dims then? Now, you can actually add your own dimensions and metrics (up to 20 for each with the free version of GA) that describe your website, business or industry! 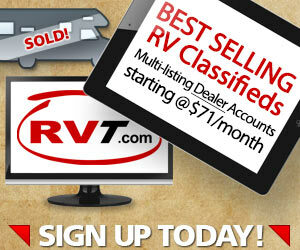 For example, you could set up a new RV type custom dimension, and then start capturing the RV type that a particular page or event pertains to, and then create a report that’s grouped in terms of what types of RVs your visitors are viewing (rather than just looking at a big list of all the pages that people have seen). You could even do this for RV brands, or… you could indicate whether the visitor is looking at a New or Pre-Owned unit, and put that information right into Google Analytics! The list goes on, as I said, you get 20 dimensions to work with. Finally, recall that whole offline/online discussion? Well, it’s even possible with Google Analytics custom dimensions and metrics to import this data and integrate with GA! It requires some IT expertise and the desire to get “geeky” with it, but some companies are starting to actually do this now, as it’s been made so much easier with the release of Universal Analytics and custom dimensions and metrics. The only thing you can’t put into GA custom dims is personally identifiable information, as per the Universal Analytics usage guidelines – i.e., no names, email addresses or phone numbers of your visitors. This doesn’t apply to something like putting the names of your own staff into GA, just to your website visitors. Two ways to get at your dealership’s data quickly and powerfully. There are some things that the standard reports just can’t do, or can, but take arduous setup time to recreate each and every time you log in. Shortcuts help you save that perfect report that you have crafted and make it easier to access it again in the future. Easy to set up, you can create a shortcut from just about any report page that I’ve come across. Shortcuts: It doesn’t get any more handy. Creating custom reports becomes somewhat necessary for custom dimensions – you can use custom dims as secondary dimensions in custom reports, but if you want to use them as primary dimensions (which you probably do) you’ll need to go custom. You can also save your custom reports as shortcuts for easy access. Do not be afraid of custom reports! To create them, go to the Customization tab in GA and pick your desired metrics, dimensions and filters. There are also many custom reports that you can import for use with your own data available online; many are from personal blogs, there is also the Google Analytics “Solutions Gallery”. Just Google “Google Analytics Custom Reports” and you’ll find some in the results set. Some custom reports just don’t “work” because of the scopes that the various metrics and dimensions pertain to – more on scopes here. A simple rule of thumb to follow is that if the results look wacky, you’re probably mixing scopes inappropriately; back off and try something simpler. Make cases for website optimization. If not, you might want to consider making a commitment to explore and improve in the area of analytics. I like to think of web analytics as the way to monitor and improve what is truly the central hub of your dealership’s online marketing and advertising – your own website.